Tinni is a Bangladeshi model and actress who is criticized much for leading inconsistent life. She is one of the well-established actresses in the country. Tinni has versatile talent that showed off in the TVC, drama, and film. She comes to the timeline around the country when acted in the Mustafa Sarwar Faruqi’s popular drama ‘Sixty Nine’. Her full name is Srabosti Dutta Tinni. Srabosti Dutta Tinni was born on May 17, 1983, Dhaka, Bangladesh. She was very passionate about the modeling world from early childhood. Tinni participated in the Anondodhara Photogenic Pageant in 2002 and won the fifth runner-up. In 2004, Tinni Crowned Miss Bangladesh. Apart from modeling, she pursued to build up a career in the film industry. 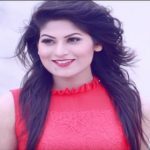 Within very short time Tinni established her name in the media industry of Bangladesh but fall down her career for leading unstable life. Srabosti Dutta Tinni kicked off the journey in the media industry of Bangladesh by modeling. She acted in the TVC ‘Keya Beauty Soap’. Then Tinni showed beautiful performance in the TVC ‘Banglalink Desh’. She made her debut in the media industry with the drama serial ‘Sixty Nine’ in 2004. She acted in the drama ‘Opekkha’ with co-actor Arefin Shuvo. Tinni appeared in the drama ‘Ei Maya’ with Apurba. 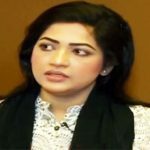 She showed off a magnificent performance in the dramas Shukher Asukh’, and ‘Kobi Bolechen’ with co-actor Mosharraf Karim. Then she appeared in the drama ‘Bow’ with Chanchal Chowdhury. Tinni also made her debut in the film industry with the film ‘Made in Bangladesh’ in 2007. Then the actress Tinni starred in the movie ‘Se Amar Mon Kereche’ with co-actor Shakib Khan in 2012 and got positive acclamation from the critics and audience. Tinni is one of the controversial actresses in the country for her unstable personal life. It is reported that she is a drug addicted star in Bangladesh that is a rare case in the country. On December 28, 2006, she married actor Adnan Faruk Hillol. They have a daughter named Warshia. In 2012 their marriage broke down. After the split from Adnan Faruk Hillol, Srabosti Dutta Tinni went to left behind of media. she married again to Adnan Huda Saad on February 18, 2014, in Saad’ home, she also gave birth a daughter named Arshi. It is reported the pair also going to be quiet.